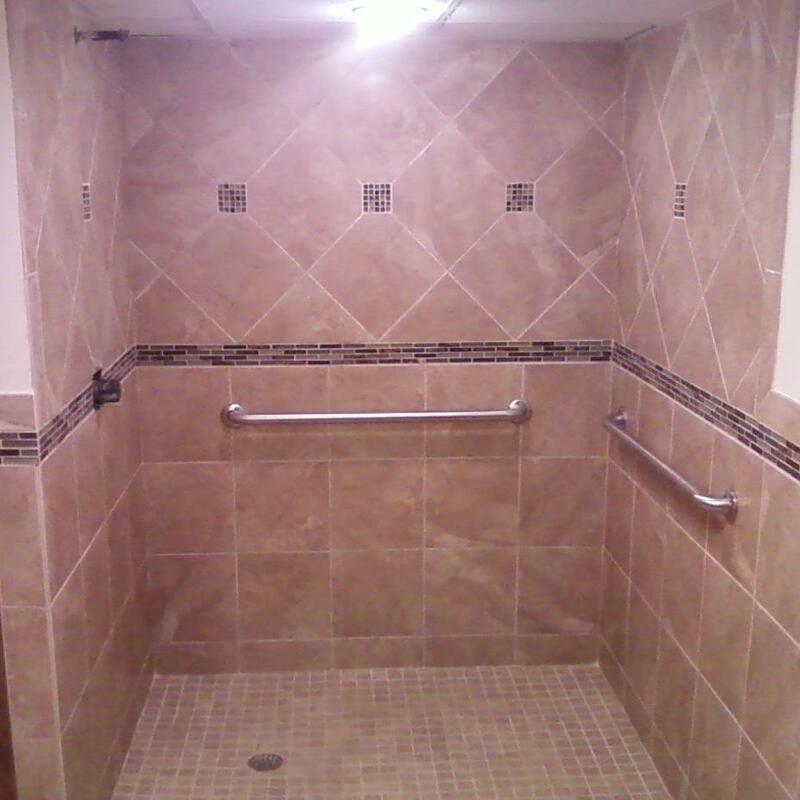 Gut and remodel entire bathroom. Relocated all plumbing and wiring. 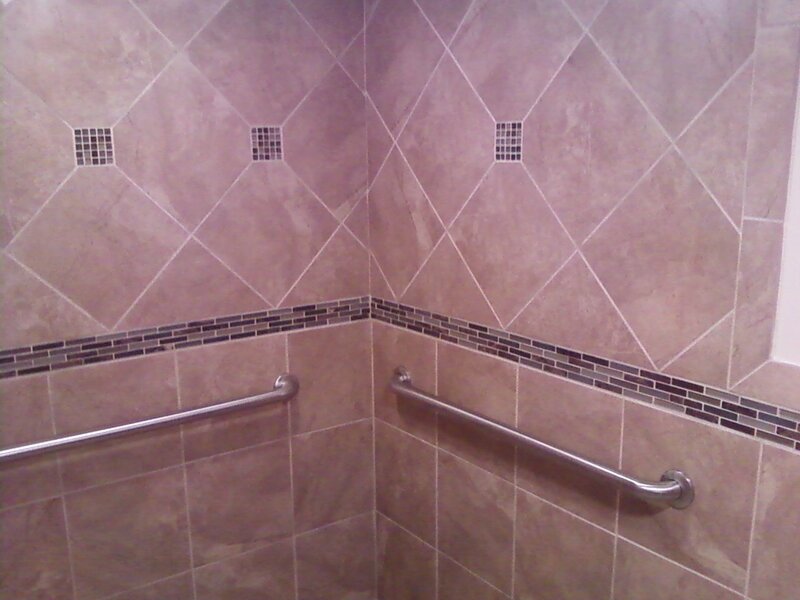 Installed new toilet, vanity ,tops, faucets and created roll-in shower stall. 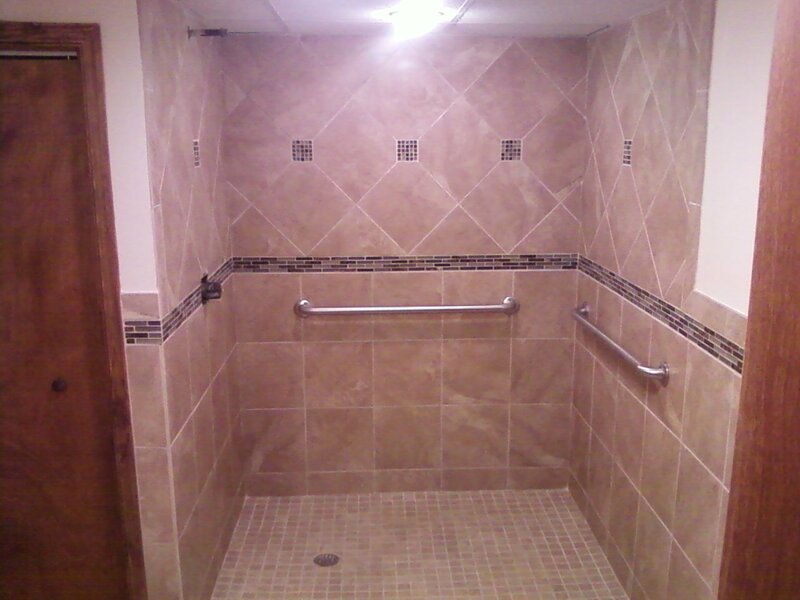 Stall is equipped with handicap grab bars, floor and all walls are tiled.